Jake Containers makes renting a shipping container fast and easy. We offer a large selection of steel storage containers for rent in New Jersey. We rent both new and used New Jersey storage containers. Used containers might have a few dings, dents, scratches, or surface rust; but rest assured that they will have no holes and will be wind and watertight. Jake Containers will deliver a clean, wind and watertight portable shipping container to your business, home or job site. We rent storage containers to customers throughout New Jersey servicing the construction, commercial & industrial, hospitality, municipal & government and residential markets! Renting is a cost-effective way of gaining access to a steel portable storage container without spending thousands of dollars up front. 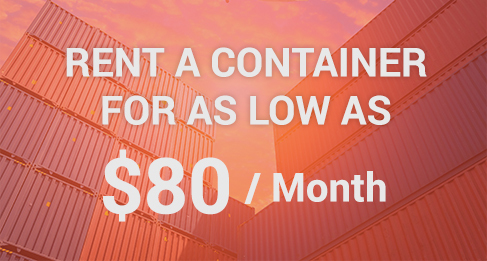 The cost of renting a container to be used for a short period of time is much more economical than purchasing your storage or steel shipping container. 4. Notify us when your unit is empty and we will remove the unit from your site! Steel shipping containers provide easy access ground level, secure storage at your job site. Containers are often used to store excess inventory, layaway items, returned goods, or landscaping tools. Steel shipping containers are ideal for easy access to ground level, secure storage at your job site. Need more room for excess equipment, a renovation project, or seasonal storage? 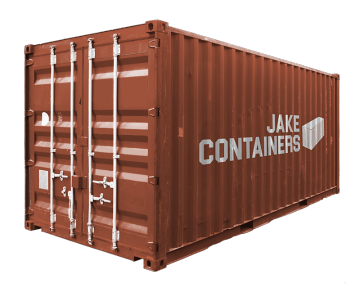 Call Jake Containers today! Schools, towns, and agencies need storage space for supplies, documents, waste collection and much more.